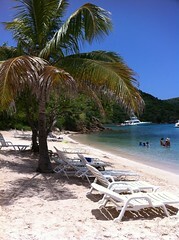 We went to Norman island last weekend so this pic is from Pirates Bight. Nice place to hang out and have a cocktail and some food. Our boat broke down after this trip so we won't be going anywhere for awhile :-( Buy that's a whole nother story.